- Animal agriculture is responsible for 130 times more waste than humans (there is no waste management for animals). - 70% of the antibiotics produced in the United States goes to the agricultural industry. A majority of those antibiotics are administered to healthy livestock. - For every pound of fish caught, there are 5 lbs. of untargeted species trapped such as dolphins, whales, sea turtles and sharks (known as by-kill). - Between 40-50 million sharks are killed in fishing line and fishing nets every year (by-kill). - 1 acre of rainforest is cleared every second (size of a football field) for logging or agribusiness. - Everyday 100 plant, animal and insect species are lost (extinct!) due to rainforest destruction. - Palm oil is responsible for 26 million acres of rainforest destruction (for cattle grazing and soy production) BUT animal agriculture is responsible for 136 million acres of rainforest destruction. - The Amazon could be gone in the next 10 years. - Brazil rainforest - people speaking out are being killed. Over 1,000 activists have been killed in the last 20 years. 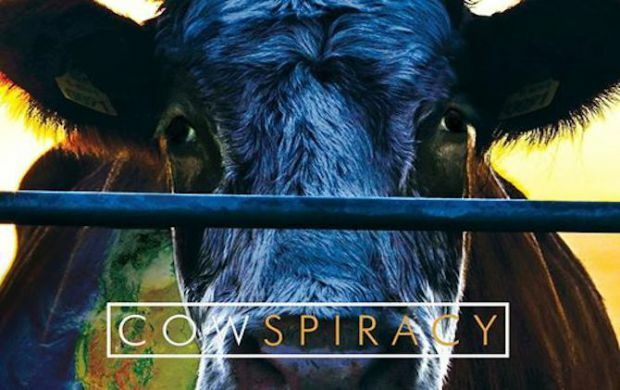 - There is not enough land to sustain the dairy industry. It takes 110-150 lbs. of feed per day, 30-40 gallons of water per day. - It takes 1,000 gallons of water to produce 1 gallon of milk. - Each day, a person who eats a vegan diet saves 1,100 gallons of water, 45 pounds of grain, 30 sq ft of forested land and 20 lbs of CO2 equivalent.